DACHAU — Survivors and liberators alike recalled on Sunday the horror of the Dachau concentration camp and the overwhelming relief of its liberation 70 years ago. 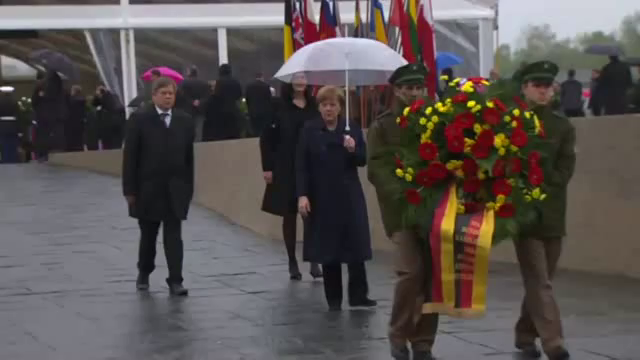 German Chancellor Angela Merkel pledged to keep alive the memory of Nazi crimes and give no quarter to present-day discrimination or anti-Semitism. Dachau, near Munich, was the first concentration camp the Nazis set up – a few weeks after Adolf Hitler took power in 1933. Before it was liberated by U.S. troops on April 29, 1945, more than 200,000 people from across Europe were held there and over 40,000 prisoners died. “When we entered the camp exactly 70 years ago, it was a terrible shock to see how much you, the survivors, had suffered from starvation, disease, brutality and freezing conditions,” Alan Lukens, who entered Dachau as a U.S. army private in 1945, said at the anniversary ceremony at the former camp. “But we will never forget your excitement and ours as were entered the camp and were overwhelmed by you, as you hugged us and brought out a hand-sewn American flag which you had hidden for the occasion,” said Lukens, who later became a U.S. diplomat. Returning to France at age 21, Samuel said he wanted to forget his experience and get on with his life. “I put Dachau in a corner of my memory,” he said. 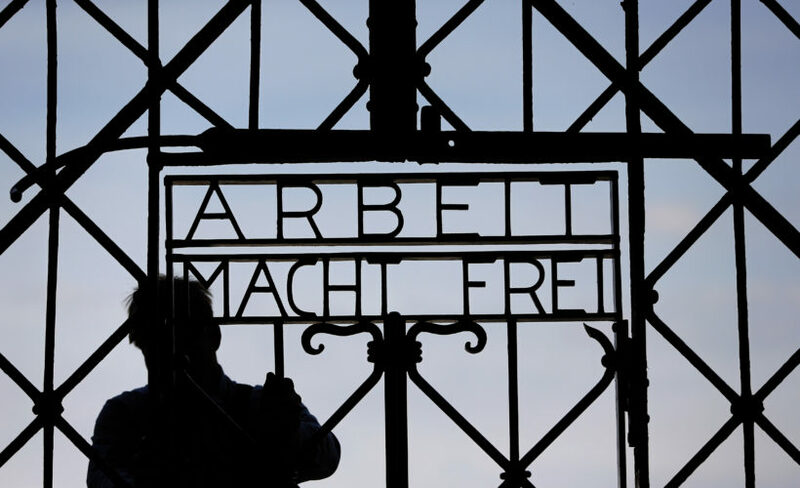 After retiring, however, he decided to speak out as “a witness of the unspeakable” and fulfill a duty to keep the memories of what happened at Dachau alive. …Chancellor Merkel thanked survivors for sharing memories of suffering that is “beyond our imagination,” which she said help young people today “connect naked numbers and data with faces, names and individual lives.” And she stressed the importance of ensuring that today’s youth do not turn to extremism. All in Germany must “make unmistakably clear that Jewish life is part of our identity; that discrimination, marginalization and anti-Semitism can have no place here, that they must be fought with determination and the full force of legal means,” she said. Abba Naor, a Lithuanian-born former Dachau prisoner who now lives in Israel, was flanked by two of his great-grandchildren as he spoke at Sunday’s ceremony. “I hope that they and all the children in this world never have to experience such crimes,” Naor said. In a world’s first, Chinese researchers at the Sun Yat-sen University in Guangzhou confirmed they had engineered the DNA of human embryos (a practice banned in Europe) to modify the gene responsible for the fatal blood disorder thalassemia. The team, led by Junjiu Huang attempted to head off fears of eugenics by claiming the embryos were ‘non-viable’ and could never have become babies. It works by capitalizing on the fact that bacteria attack viruses by snipping away part of their genetic code, effectively dismembering the virus. The CRISPR technique uses a bacterially derived protein to cut-away a particular gene, which is then replaced or repaired by another molecule introduced at the same time. 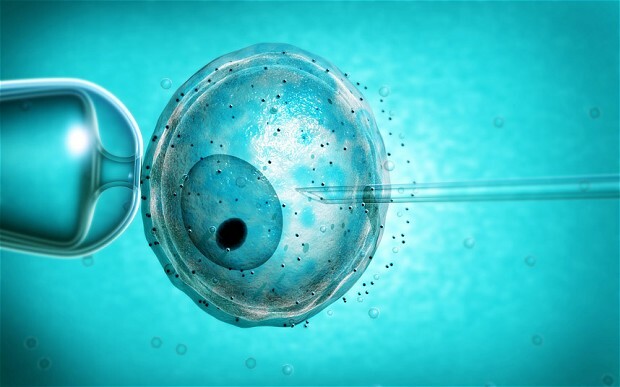 The technique has been used in adult cells and animal models but never in human embryos. …Huang said he had abandoned the current project to go back to working out how to minimize the unexpected mutations in adults cells and animals. BEIJING AND WASH. D.C. – China’s top nuclear experts have increased their estimates of North Korea’s nuclear weapons production well beyond most previous U.S. figures, suggesting Pyongyang can make enough warheads to threaten regional security for the U.S. and its allies. A well-stocked nuclear armory in North Korea ramps up security fears in Japan and South Korea, neighboring U.S. allies that could seek their own nuclear weapons in defense. Washington has mutual defense treaties with Seoul and Tokyo, which mean an attack on South Korea or Japan is regarded as an attack on the U.S.
Chinese experts now believe North Korea has a greater domestic capacity to enrich uranium than previously thought, Mr. Hecker said. The Chinese estimates reflect growing concern in Beijing over North Korea’s weapons program and what they see as U.S. inaction while President Barack Obama focuses on a nuclear deal with Iran. A well-armed North Korea may prompt the U.S. to adopt countermeasures, especially in missile defense. Adm. William Gortney, head of U.S. Northern Command, said this month that defense officials believe North Korea can now mount a nuclear warhead on an intercontinental ballistic missile called the KN-08. 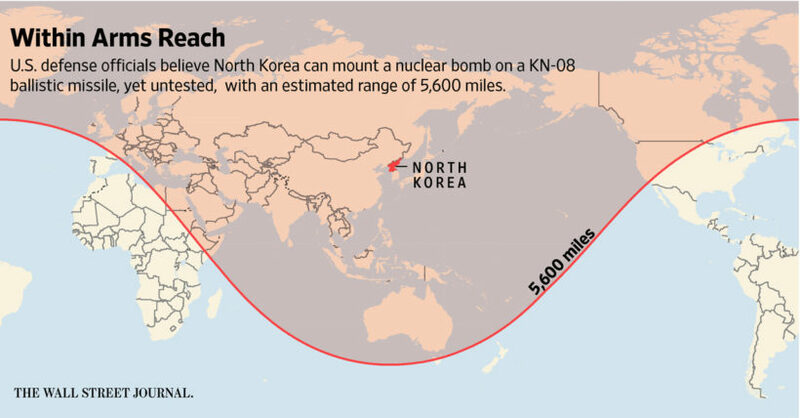 U.S. officials don’t believe the missile has been tested, but experts estimate it has a range of about 5,600 miles – within reach of the western edge of the continental U.S., including California. An increase in North Korea’s nuclear arsenal feeds international concern about proliferation from a country that, U.S. officials said, previously exported nuclear technology to Syria and missile components to Iran, Yemen and Egypt. In Washington, some Republican lawmakers said the pending White House deal with Iran could mirror the 1994 nuclear agreement the Clinton administration made with North Korea. The deal was intended to halt Pyongyang’s nuclear weapons capabilities, but instead, they allege, provided diplomatic cover to expand them. North Korea tested its first nuclear device in 2006. Recent estimates by U.S. experts range from 10 to 16 nuclear bombs today. Mr. Royce said he met Chinese academics on a recent trip to Beijing and was struck by the concerns he heard about Pyongyang’s nuclear capabilities. c) When was the Dachau concentration camp set up? d) When was Dachau liberated? e) Dachau was the first concentration camp set up by the Nazis. How many people were murdered or died from their horrific treatment there? f) Abba Naor, a Lithuanian-born former Dachau prisoner who now lives in Israel, said that some Nazi SS commanders were “loving fathers who played with their children after they had driven thousands into the gas chambers. If you think the Nazis were inhuman, then you’re wrong. They were humans like you and me. And that is what is so terrible.” Read about the Holocaust at the U.S. Holocaust Memorial Museum website. Why is it so important to know about the Holocaust today? b) Human Genetics Alert (HGA) is a secular, independent public interest watchdog group, based in London. They inform people about human genetics issues, and put forward clear policies that serve the public interest. How did the director of HGA respond to the news from China? c) Read some FAQ about techno-eugenics at the HGA website: hgalert.org. Differing from this group, advocates of gene editing say that it could eradicate devastating inherited disease. But others are worried that it crosses an ethical line, allowing children to be genetically engineered. What do you think: just because we can do something, should we? Explain your answer. d) Dr. Francis Collins, director of the U.S. National Institutes of Health said modifying the DNA of embryos is a “line that should not be crossed.” He said there are big ethical questions and no compelling medical reason to do it. Ask a parent: why is genetic engineering wrong? Why are Christians so opposed to this research? Is having a good medical reason ok to do it despite the ethical reasons against it? Explain your answer. b) The Chinese estimates reflect growing concern in Beijing over North Korea’s weapons program and what they see as U.S. inaction while President Barack Obama focuses on a nuclear deal with Iran. What do you think of China’s concern? Is it legitimate? Should we take China’s warning seriously? Explain your answers. 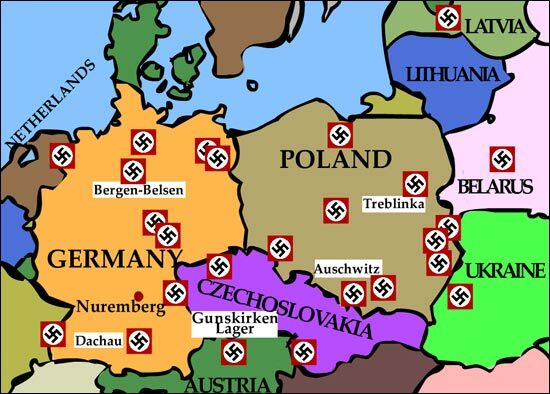 As Allied troops moved across Europe in a series of offensives against Nazi Germany, they began to encounter tens of thousands of concentration camp prisoners. Many of these prisoners had survived forced marches into the interior of Germany from camps in occupied Poland. These prisoners were suffering from starvation and disease. British, Russian and American troops all liberated camps. He argued there were “serious and unquantifiable safety issues,” big ethical questions and no compelling medical reason to do it. He said the NIH would not fund such research in the US. There have been repeated calls for a worldwide freeze on such research while society as a whole decides what should be allowed. However, the U.S. National Institutes of Health has made its position clear – that no such research should take place. Relations between North Korea and China have deteriorated since Xi Jinping became China’s leader in 2012 and North Korea’s leader, Kim Jong Un, took power following the death of his father in late 2011. China, which is North Korea’s largest investor, aid donor and trade partner, has for most of the past decade underestimated Pyongyang’s nuclear capabilities, nuclear experts said, including its capacity to produce fissile material. Estimates of North Korea’s capabilities by Chinese experts began to align with those in the U.S. after 2010, and moved beyond after 2013, according to people familiar with exchanges on the matter between China and the U.S.
China’s foreign and defense ministries didn’t respond to requests for comment. Diplomats at North Korea’s mission to the United Nations didn’t respond to attempts to seek comment. The White House, State Department and Pentagon declined to provide U.S. estimates of North Korea’s nuclear arsenal. “We have been and remain concerned about North Korea’s nuclear program and believe China should continue to use its influence to curtail North Korea’s provocative actions,” said Patrick Ventrell, a spokesman for the U.S. National Security Council. The U.S. hasn’t engaged in regular high-level talks with Pyongyang since 2012, when North Korea conducted a long-range missile test. The U.S. has instead pressed China to use its economic leverage to rein in North Korea. The latest Chinese estimates of North Korea’s nuclear capability were shared during a February meeting at the China Institute of International Studies, the Chinese foreign ministry’s think tank. The Chinese brought technical, political and diplomatic experts on North Korea’s nuclear program, as well as military representatives, said people familiar with the meeting. Siegfried Hecker, a Stanford University professor and former head of the Los Alamos National Laboratory, who is the U.S. team’s lead technical expert, has long been part of international efforts to understand North Korea’s nuclear program. In 2010, he revealed North Korea had a large uranium enrichment program after he saw the facilities during a visit there. The estimate that North Korea may have had 20 warheads at the end of last year – and could build 20 more by 2016 – was given during a presentation by one of China’s top uranium enrichment experts, according to people familiar with the meeting. They said it was the first time they had heard such a high Chinese estimate. U.S. officials didn’t attend the meeting but some expressed surprise when they were later briefed on the details, said people familiar with the matter. Some Chinese experts said the estimates revealed in February were at the higher range among local peers. 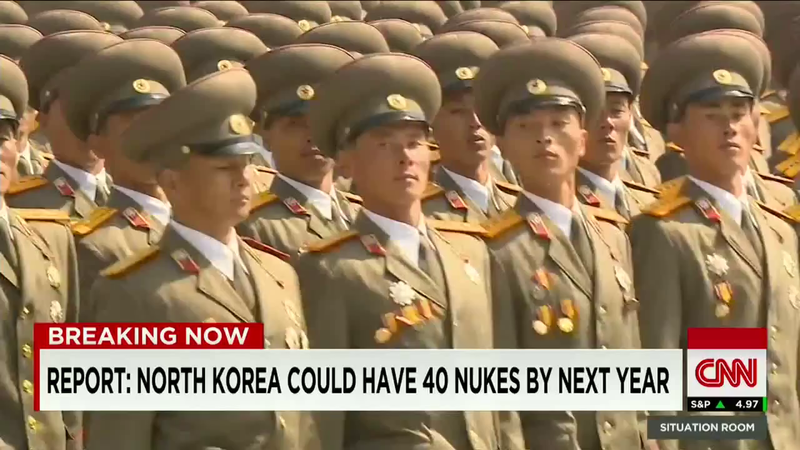 Mr. Hecker said he estimated North Korea could have no more than 12 nuclear bombs now, and as many as 20 next year.